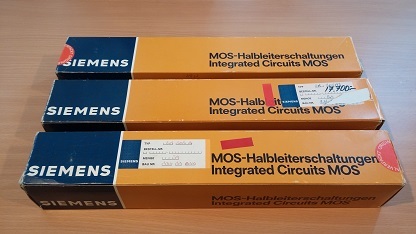 Parastream is extremely pleased to offer new old-stock (NOS) original Siemens SM304A, SM305A3, and SM305B integrated circuits once again! These parts are brand new in mint condition and carry late date codes (8141, 8230, 8242, 8246, 8420). From time to time we may have also have pulled used parts available. These parts are currently shipping. Current stock levels and availability are indicated in the Availability column. If an item’s availability doesn’t say “can backorder,” do not place an order for a higher quantity than is indicated in stock. To order, click on the button. If you have problems getting the order form to display after clicking the button, try disabling your popup blocker. The SKU number below is for unit pricing. Quantity discounts are available for resellers and high volume repair shops. Contact us for details.